Rate this Article If you like to play match-3 games and build and decorate stuff on the side, here are 3 of the best match-3/building games for you! Everyone knows what match-3 puzzle games are. 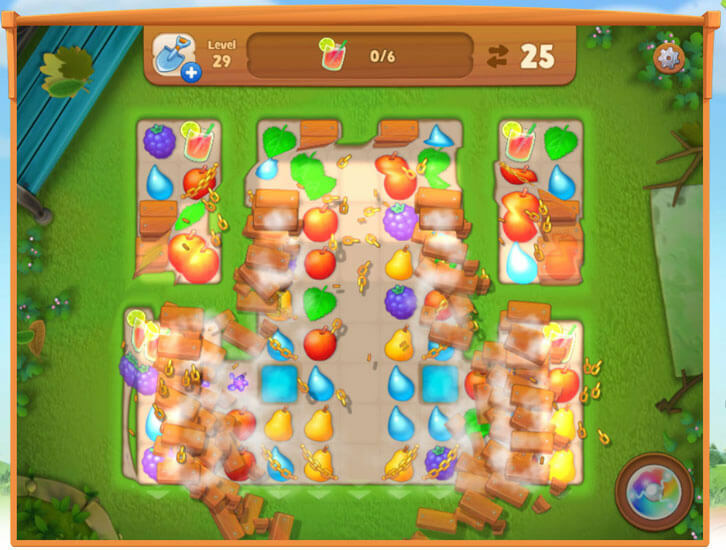 After all, these games are made popular and “mainstream” by titles like Candy Crush Saga. 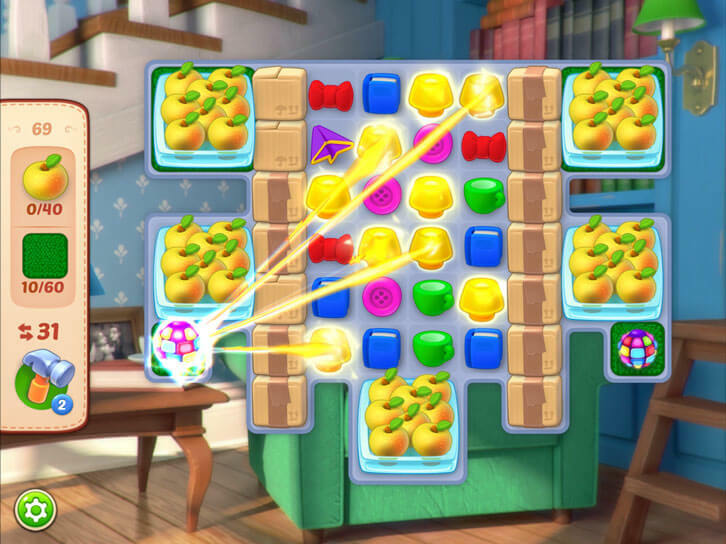 However, if you’re an avid player of match-3 puzzle games, you may have noticed an increase in games that allow you to play match-3 levels and yet build and decorate stuff on the side. These are what we now call “match-3 building games” and if you’re looking for one, we’ve got 4 of the best ones for you to choose from! An “oldie” but “goldie” to kick things off, Gardenscapes: New Acres (or also known simply as Gardenscapes) is perhaps one of the pioneers of this new casual game genre where progression is measured by how much of the garden have you restored rather than which match-3 level you’re at. The gameplay provided is very unique as well. 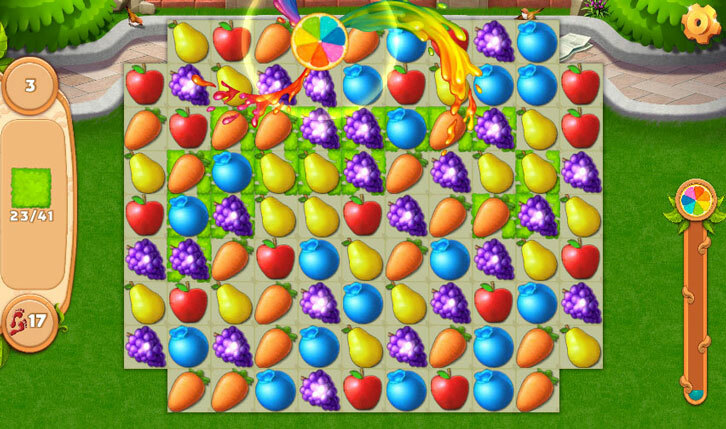 The Rainbow Blast, for instance, adds a very nice touch to the overall strategy of the gameplay, giving it additional depth. Players of the next game in this list, Homescapes, may also recognize several familiar characters, namely Austin’s elderly parents, Olivia and William on his social media feed. The casual humor infused into the dialogues and these social media posts is quite brilliant too! Homescapes may be released approximately one year after Gardenscapes, but this doesn’t mean it is any less fun! This time around though, the game will have you restoring and decorating a massive mansion, as opposed to a garden, as you slowly uncover the storyline behind the adorable yet elderly couple, Olivia and William, who despite the years are still very much in love with each other. The gameplay is rather different as well. It is slightly less complex than the game it is based on since it does away with the Rainbow Blast power-up. However, the game still has a pretty strong emphasis on strategic gameplay and the ability to plan your moves ahead. Family Zoo: The Story is a pretty popular match-3 building game that you can play on both PC (via Facebook) and on mobile devices (Android and iOS). Unlike the garden theme used in Gardenscapes or the home theme used in Homescapes, this game opted for a zoo theme instead. This also means plenty of adorable animals that you can give a really nice home to in your zoo. The animation for the animals are great and I love how you get to “interact” with them, such as clicking on the ball and the tiger will come and play around with it. The same goes for the worn tire that is hung up like a hoop for your tigers to leap through. 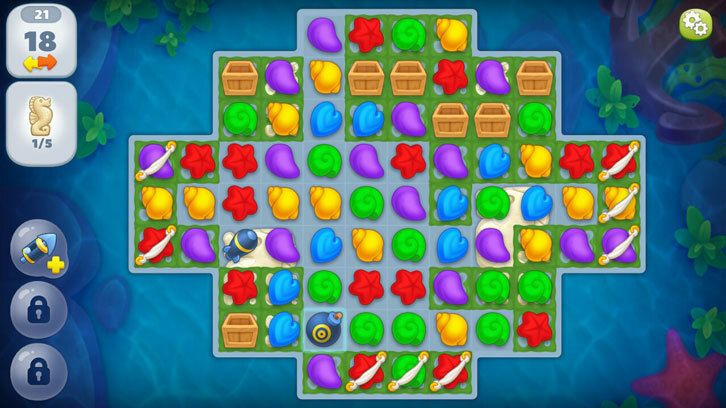 The gameplay is also very similar to Gardenscapes. Aside from the similarly-themed match-3 pieces, this game has a Crazy Orange meter that works in the same way as the latter’s Rainbow Blast power-up. In fact, I’d say this is possibly the closest alternative to Gardenscapes, if you’re looking for one that is. Undersea: Match & Build may still be in early access but the game is impressive enough to make it on this list. Featuring an, obviously, underwater theme, in this game, you’ll be helping Alfred the crab restore his hometown of Rocky Bottom after it was devastated by a storm. The graphics and game design here look absolutely incredible. Not to mention, the gameplay is also both entertaining and challenging… in a strategic kind of way. The game manages to add some casual humor in as well. So, these are our top 4 picks for match-3/building games. Have you played all of them yet? If not, be sure to check them out!